Tom began his LTC insurance career in 1987 as a Regional Sales Manager with AMEX Life Assurance Company (now GE Capital Assurance). In this role he was responsible for recruiting agents, training agents and managing sales results. During his tenure, his agents produced more than $50 million in annualized LTC insurance premium and his region generated the highest sales revenue in the company for twenty consecutive quarters from 1988 through 1992. In 1990, Tom assisted in the creation of Tools for Thought, the LTC insurance industry’s first training manual that still serves as the foundation resource for all LTC insurance training provided today. He personally taught more than 10,000 agents the fundamentals of LTC and LTC insurance. Tom was the company’s most sought after speaker on LTC insurance. He was the featured speaker at the company’s agent convention in Hawaii and also represented the organization in nationally televised broadcasts to financial planners in the Edward Jones organization. 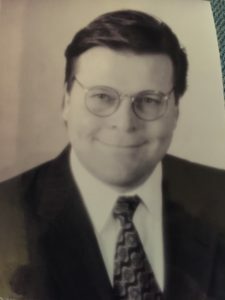 In 1997, he was asked by the California Department of Insurance legislative unit to assist them in interpreting the three pieces of LTC Insurance legislation proposed by the state legislature (SB 1052, SB 527 and AB 1483). Tom was then asked to develop the new 8 hour LTC / CTQ CE course outline on behalf of the DOI and to provide the final draft for the current 8 hour CTQ / LTC curriculum. He continues to advise the DOI on issues relating to Long-Term Care Insurance and its impact on the current cirriculum.Tom was also selected as the expert speaker for members of the California Public Employees Retirement System (CalPers) and California State Teachers Retirement System (CalStrs) during the launch of the state’s self-funded LTC insurance program. Tom conducted hundreds of consumer seminars, encouraging more than 150,000 members of these organizations to enroll in the nation’s largest group LTC insurance program. In 1998, Tom removed himself from the day-to-day operations of his company to develop a LTC insurance training program focused on improving LTC insurance agent selling skills. Tom assisted in the development and delivery of sales training programs of the Larson LTC Group, a Seattle, Washington-based agency specializing in marketing LTC insurance through captive agents. Tom has now combined his 19 years of LTC insurance training experience with the principles and techniques that enable career agents to successfully sell LTC Insurance. His new programs for independent agents and captive agents of insurance companies are guaranteed to produce LTC Insurance Sales results in a manner which does not jeopardize existing client relationships. Tom is one of a select few individuals with more than a decade of LTC insurance industry experience. His industry knowledge and ability to convey that knowledge to both insurance agents and consumers is unparalleled.